Learning Dravyaguna is a fundamental step in understanding Ayurveda. Many books are written on this subject by various authors. Dravyagunna is studied mainly under three heads viz. Namarupavijnana, Yoga vijnana and Samyogavijnan. Namarupavijnana deals with name and form of the medicinal plants that are essential for the identification and authentication of a drug and its utility in the therapeutics there of. This book is therefore, describes the most essential aspects. 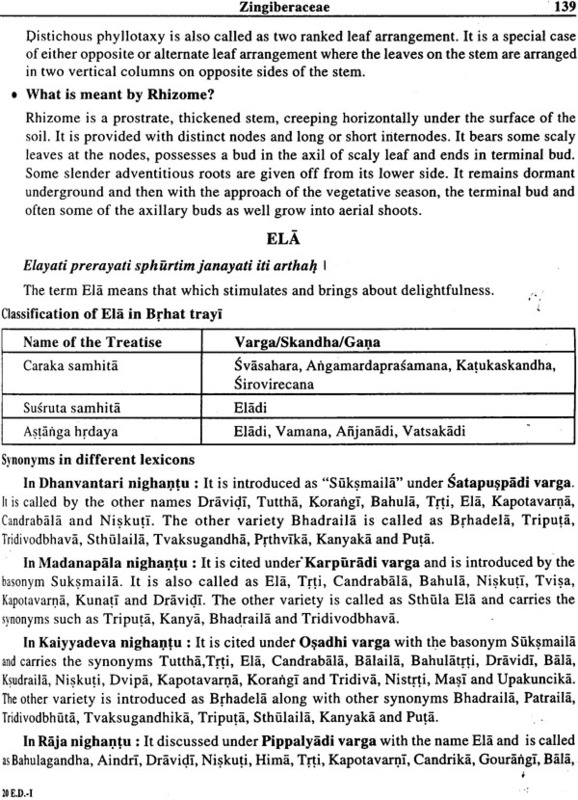 It includes synonyms of the plants from the most popular texicons written on Dravyaguna. It focuses on the synonyms describing the morphology. The annotations help to understand the complexity and ambiguity of the synonyms. Meanwhile, the identification of a plant's family is explained with the help of key characters along with the differentiating factors in order to rule out the allied families. This book uses the right botanical terms such as Regma, Balausta, Stolonetc. Floral characters are highlighted to prove the importance in the process of identification. Clues at the end of each plant help to understand the etymological derivation of the botanical name along with other significant facts related to that plant. Essentials of Dravyaguna Vol-1 incorporatesonly the name and form of very important medicinal plants falling under 51 angiosperm families. There by, it becomes the first essential part of Dravyaguna. He did his post-graduation in the subject of Dravyaguna and conferred with the award of Ayurveda vachaspathi from the university of Pune. His father Late. Dr. Karnamsomasundar Rao was a physician and served the society to the best of his ability Karnam Chandrashekhar worked as a faculty of Dravyaguba in various colleges across India. His teaching style is appreciated greatly by the students. Presently, he is working as the Professor in the P.G. Department of Dravyaguna in V.Y.D.S. Ayurveda Mahavidyalaya, Khurja, Uttar Pradesh and a reviewer of Journal of Indian System of Medicine. He authored many articles and presented papers in various seminars. He worked as the faculty for the training programme conducted for the foreign delegates. His radio talk on medicinal plant was appreciated by the listeners. He received the appreciation from the higher authority for the departmental developmental. He has a skill of constructing medicinal gardens by blending the modern and traditional methods. He utilizes grafting techniques, root division techniques, Terrarium, Bonsai methods etc. in constructing the medicinal gardens. His techniques of the cut flower preservation and in-vitro preservation of infloresences have fetched the attractions. He participated in many plant exhibitions, workshops and CMEs. He worked as the examiner of Dravyaguna in RGUHS. Karnataka, DMIHS, Maharasthra and CSMJ, Utter Pradesh. He also worked as aconvenor, Research cell of MGAMC of Wardha. The book titled "Essentials of Dravyaguna-vol. 1" has been a nice addition to the series of existing books on Dravyaguna. It is worthy edition which covers the name and form of the many medicinal plants. 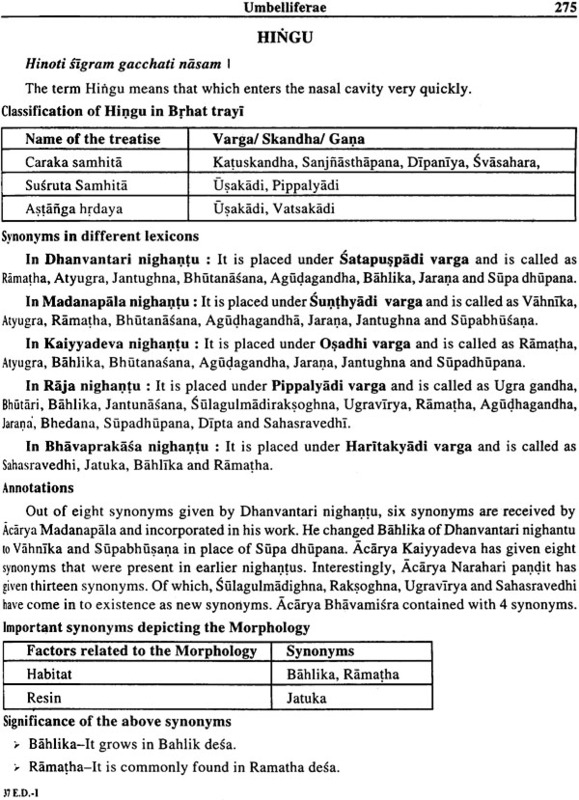 It would be a ready reckoner for the students as well as the faculty of Dravyaguba, since the contents of the book are based on the observed experience of the author and various literatures on Dravyaguna. Dr. Karnam Chandrashekhar, who was my disciple, with his teaching experience over 12 years, has come forward to give a newer vision in the understanding the plants. Medicinal plants are being the basic requirement of the practitioner of Ayurveda, hence, the identification and authentication of the medicinal plants on the botanical cackground is very much essential. In many institutions of Ayurveda, morphological description of the plants is given less importance, thinking that it is the job of a botanist. But, the complete knowledge of the plant is particularly based on proper identification. 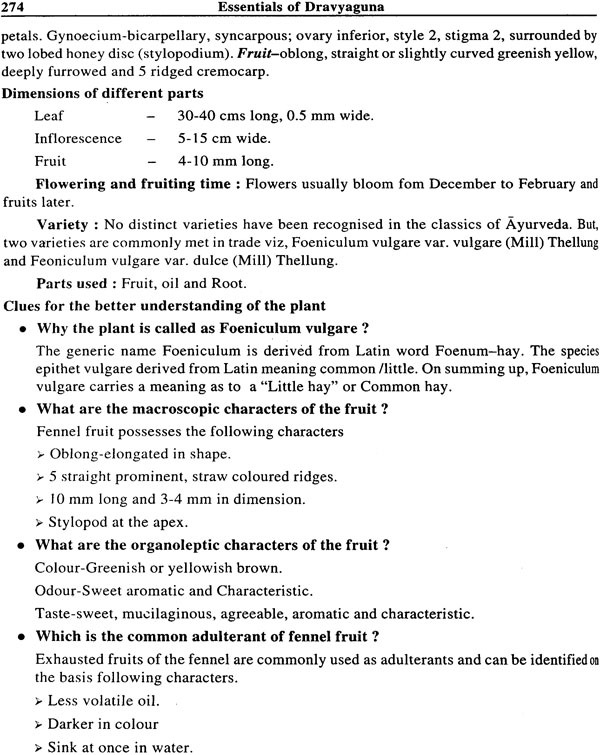 The present volume is linked with the name and form (Nama and Rupa) of the plants. 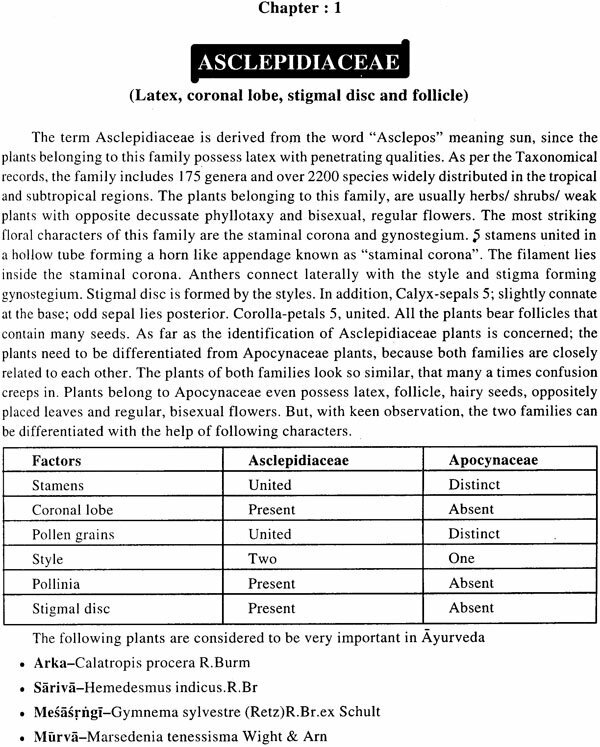 The author has tried to explain plant by compiling the synonyms from different lexicons and presented in a sequence. 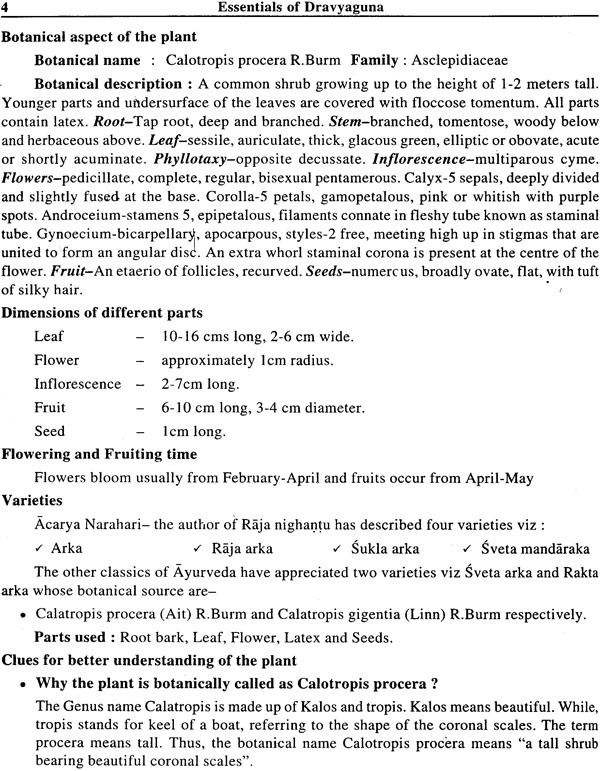 He has given annotations on the synonyms as well as on other aspect of the plant. 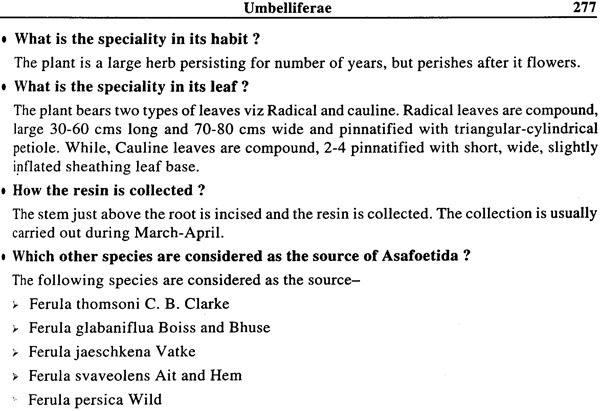 Clues at the end of each plant will help the reader to gain additional information on the plant. He narrated an easy way to differentiate the families from their closed allies. This book helps a post graduate student in many ways while studing Namarupavignana. I congratulate, Dr. Karnam Chandrashekar, for his earnest efforts in bringing this book, and I hope that the book Essentials of Dravyaguna-vol.1 would be very useful for the students, faculty of Dravyaguna as well as the practioners. I do hope this book will be an immense educational resource to the readers. 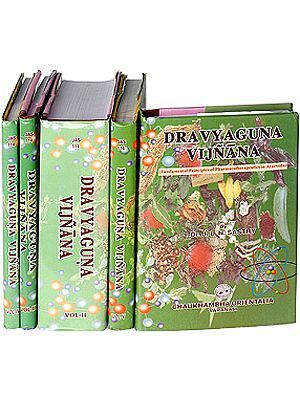 Dravyaguna-a branch of Ayurveda deals with identification, authentication and interpretation of medicinal plants along with the understanding of the properties and their usage in various diseases. The success of the treatment lies in selecting the appropriate drug and the selection of the drug in Ayurveda is purely dependent on the identification of the source, i. e the medicinal plant. 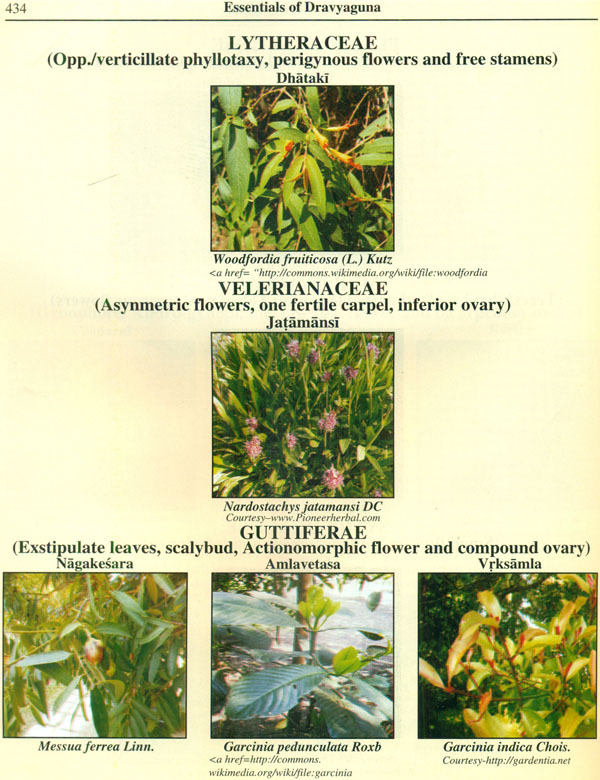 This emphasizes the importance of identification of a medicinal plant in the therapeutics of Ayurveda. 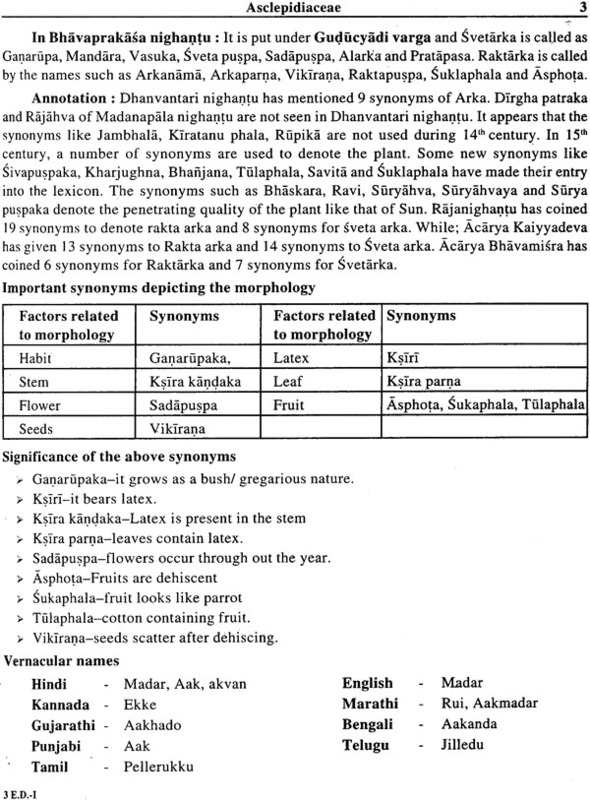 While, teaching this subject, I felt the importance of coining different synonyms to a plant by different lexicons. Hence, I collected and compiled the synonyms from the most popular lexicons. As this book is all about the name and form of the plants, I highlighted the synonyms that are related to the morphology. Of course, we have a lot synonyms to describe the plant's morphology, yet the support of Botany is essential. Keeping this in the mind, this book is named as "Essentials of Dravyaguna". 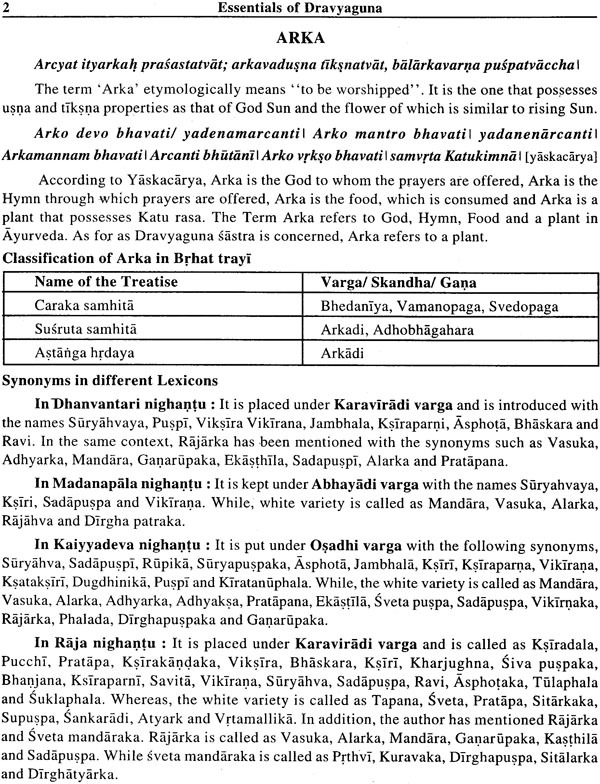 This book contains 51 families of Angiosperms that are included in Ayurvedic Meteriamedica. Chief family characters are given in the bracket, just below the family name. This helps the reader to remember these striking features as the identification tools of the family. An earnest effort is made to describe the meaning of the name of the family at the beginning of the description of each family. When the morphological features are common to 2 or more families, identification largely depends on the differentiating methodologies. Hence, closely related families are differentiated with the help of very important dissimilar factors. 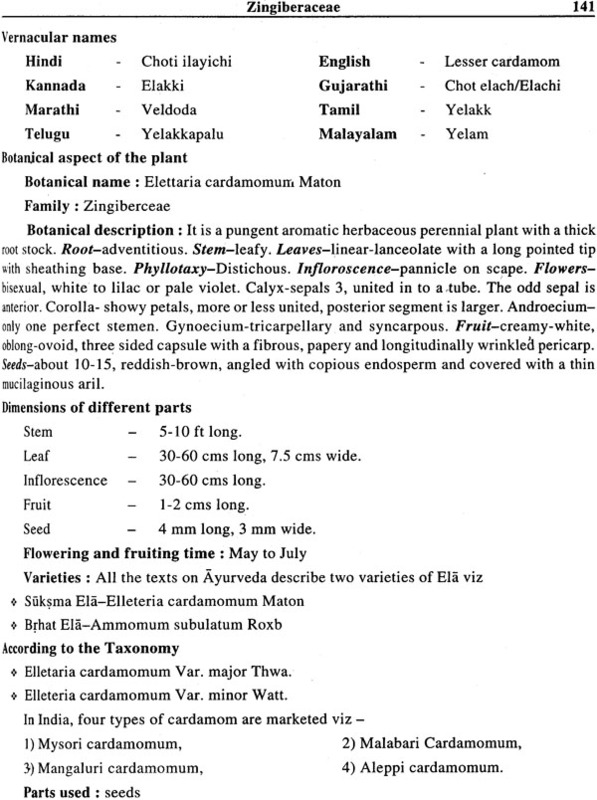 The description of the plant begins by defining the name of the plant. 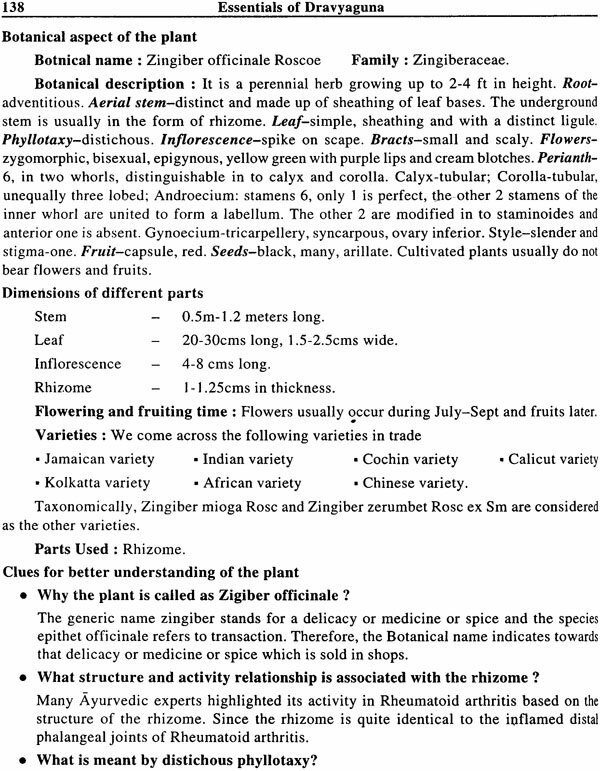 Annotations are given in order to understand the complexity of the plant with respect to its synonyms, varieties and its classification. The botanical description of the plant includes the right terminologies such as balausta, Lomentum, Regma, Stolon etc. Clues are given at the end of each plant to get additional information on the plant. I hope this book will help the reader to understand the plant from different angles. Suggestions for further improvement of the book will be greatly appreciated. Over centuries humans have relied on the plants for the basic needs such as food, clothing and shelter. In addition, plants have also formed the basis of sophisticated of their usage of plants as drugs can be traceable from Atharvaveda, which is the basis of Ayurvedic medicines in India. Ayurveda-the way of life rather than a science of life, can be defined as a preventive, protective, promotive, curative and supportive health care system. Around 1800 species are systematically documented and over 10,000 herbal drug formulations have been recorded in codified medical texts of Ayurveda. On the account of the fact that the crude derivative of medicinal plants have no side effects, there has been enormous demand for the raw materials and derivatives of the medicinal plants in the world market. 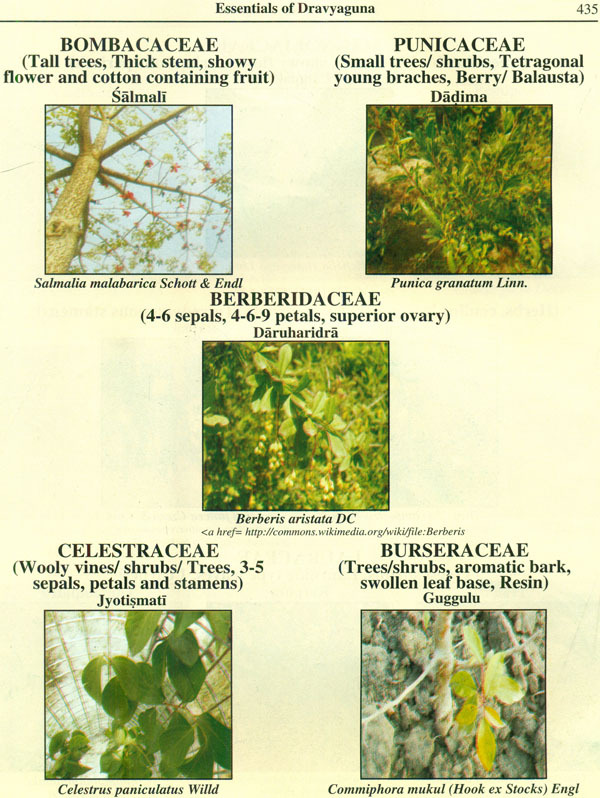 The indiscriminate identification and collection of the medicinal plants from the nature has let to scanty and extinction in many cases making them rare endangered and threatened species. As a result of which, the adulteration of the plant material is becoming a common problem. 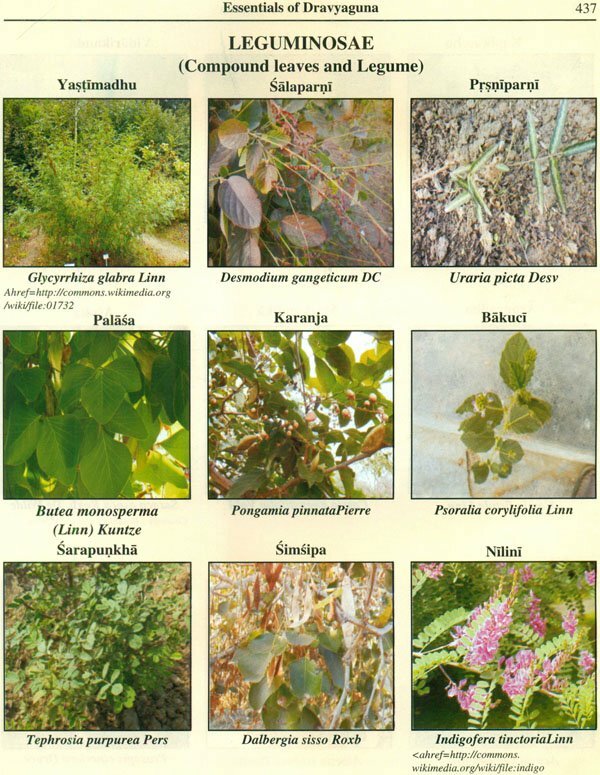 Medicinal plants bear different characters. True indentification of the plant is based on the understanding of the family, to which it belongs and some of its own special characters. 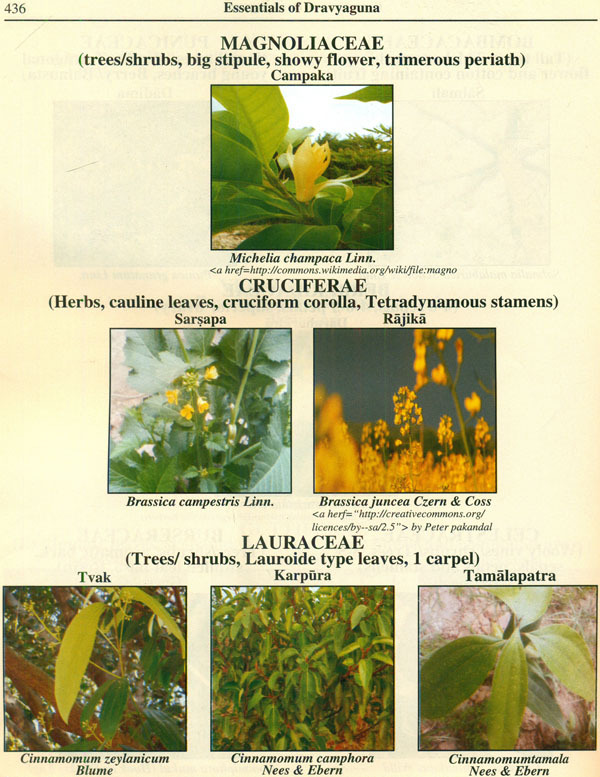 This book is a bunch of many medicinal plants and covers the essential aspect of a plants nomenclature and morphology. The book titled as Essential of Dravyaguna vol-1 shows an easy way to differentiate the families that share common characters. 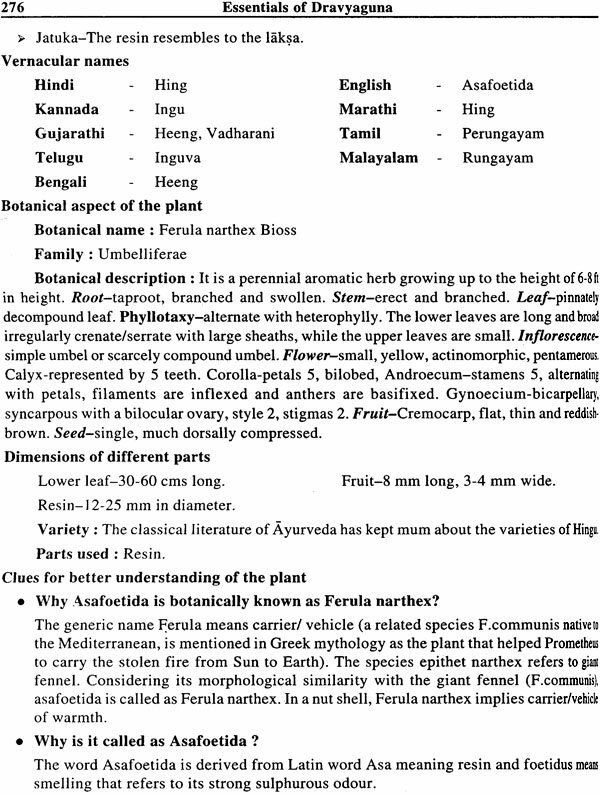 The synonyms of the plants described in different lexicons are compiled and presented in order to make it easy for a post graduate student while studying Nama rupa vignana. The synonyms that depict the morphology are highlighted in this book. Flowers are essential for the identification. This fact is given much importance in this book. An earnest attempt is made to explain the floral characters of each plamt. Some clues are given at the end of each plant to understand the plant clearly. 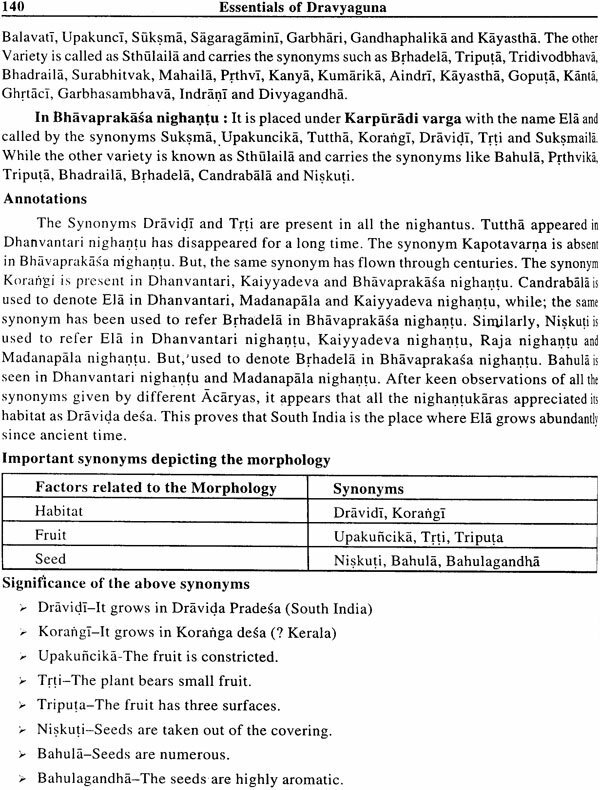 The objective of this book is not to make Dravyaguna complicated, but a ready reference book to get sufficient information on the synonyms, morphology and different varieties of the medicinal plants.